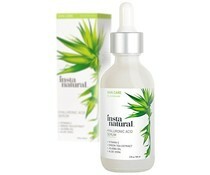 What it is Salicylic Acid formulated to do? Salicylic acid peels are great treatments for oily skin types. These peels help to control sebum production, kill acne causing bacteria and deeply cleanse pores. Salicylic acid is oil soluble, thus it is able to permeate through the epidermis (oil based). The dermis, which lies beneath the epidermis, is water based and thus Salicylic acid is unable to penetrate this layer. This makes Salicylic acid peels safe for at home use. Who should use Salicylic Acid? Salicylic acid peels 10% strength are ideal treatments for individuals who are new to salicylic peels. First time users should always start at 10% to avoid burns. Salicylic peels 20% strength are ideal treatments for individuals with normal to oily skin types that have had prior experience using salicylic acid peels of equal or greater strength. How do I use Salicylic Acid? 2: No neutralizing solution is needed. Salicylic acid neutralizes on its own. However, if product is too strong, you can neutralize immediately with our post peel treatment. To neutralize peel, apply several pumps of Post Peel Treatment Serum unto clean fan brush included with packaging. Apply liberally unto face. You can apply several layers of product unto face until you’ve completely covered all treatment areas. Upon application, you will feel a warm, tingling sensation which is normal. Mild foaming is also expected as acid is being neutralized. Once foaming action has ceased, acid has been fully neutralized. Regardless, leave on for a full 10 minutes, then rinse thoroughly. 3: Apply peel to face with a cotton ball (You can also spot treat individual pimples or areas with greater congestion). 4: You can either leave on or rinse. Acid will neutralize on its own. 5: About 5 minutes after applying acid, follow up with your favorite moisturizer. We recommend our Pure Hyaluronic Acid Serum and Tepezcohuite Cream.Tepezcohuite Cream. What other products can I use in combination with Salicylic Acid peels? Throughout the week, follow up with ASDM Beverly Hills. Salicylic acid cream (Wait 1-2 days after peel to begin using this cream. )Important tips and what to expect after a Salicylic Acid PeelKeep the acid a quarter-inch or more away from the eyes and mucus membranes. Never use the peel on open wounds, irritated or highly sensitive skin. Don't use the product more than once a week. Avoid sun exposure for at least a day after the peel. Don't apply acid to skin that's been shaved within a day. A slight stinging sensation is normal. Skin may be red after a peel; the redness should fade.